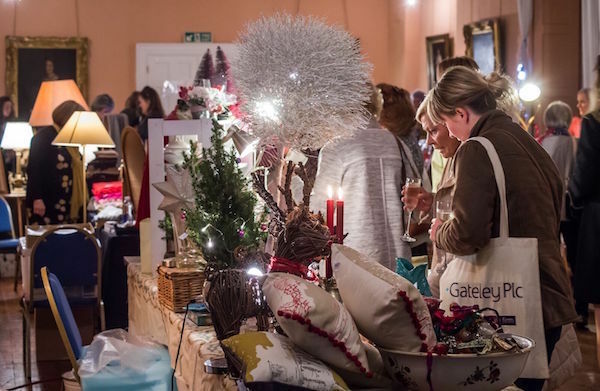 The Holme Pierrepont Hall Christmas Fair is truly unique - featuring a variety of individual, design-led and artisan stalls, handpicked to offer a broad range of unique gifts for our discerning shoppers. 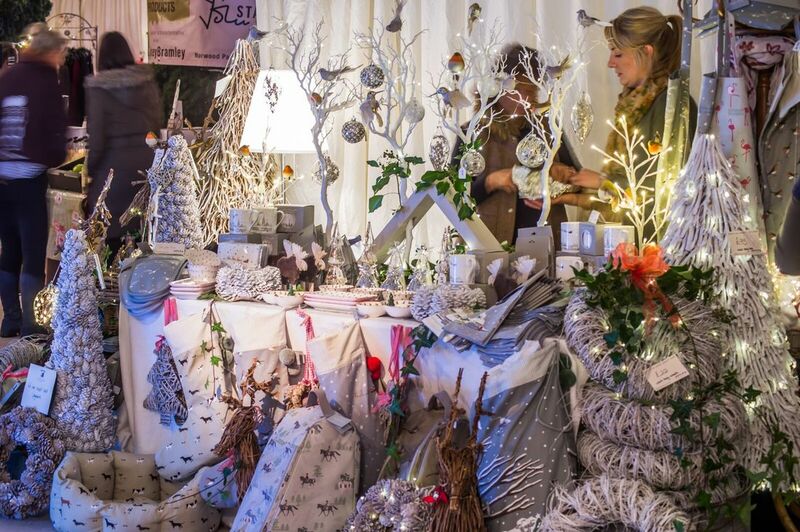 This stunning event is the perfect opportunity to start all your Christmas Shopping - with Christmas and food stalls, women's fashion and accessories, beauty treats, mens' gifts, toys and stocking fillers to peruse at your leisure. 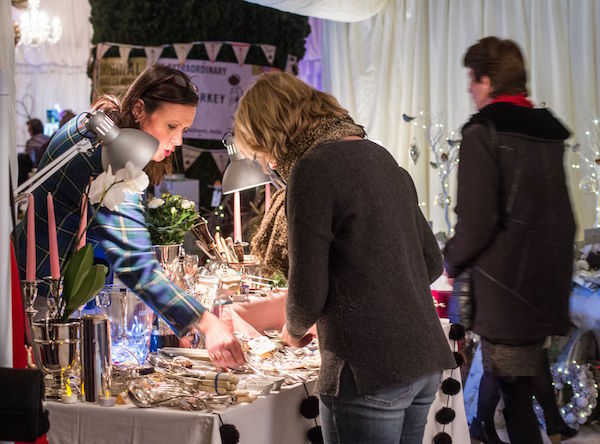 To find out more about some of the creative and Christmassy exhibitors at this year's fair, visit our Stallholders page. The Thursday Fair is open for one day on Thursday 14th November 2019 with proceeds once again being donated to Rainbows Hospice for Children and Young People. Entrance to the fair is by a £5 donation on the door or made online. ​Doors open 9.30am to 4pm. If you'd like to make your visit to the fair a special and social occasion then why not attend our exclusive Preview Evening on Wednesday 13th November 2019? 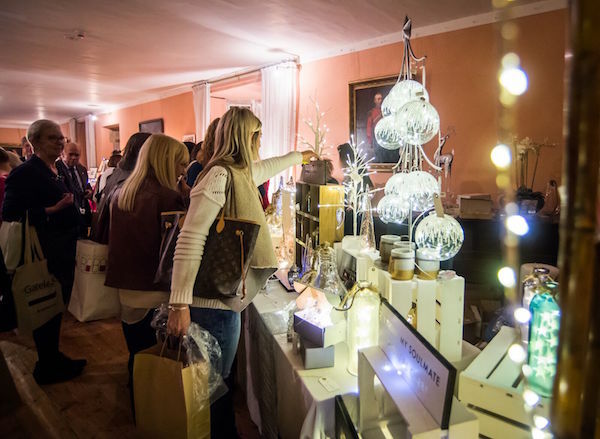 ​This VIP pre-purchased ticketed event is the perfect opportunity to come shopping on a magical winter's evening and includes a glass of Prosecco and a delicious bowl supper to enjoy with friends. Christmas Gifts, Artisan Food, Fashion and Accessories, Beauty Products, Toys, Stocking Fillers and Gifts for Men. Entrance is by pre-purchased tickets only and numbers are limited for this exclusive event. 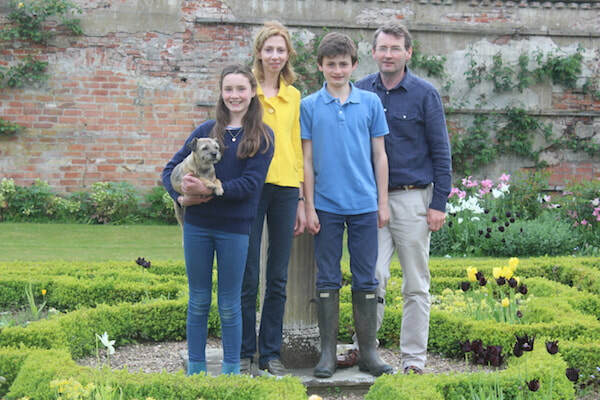 The Brackenbury Family are delighted to welcome you to Holme Pierrepont Hall, our family home for five hundred years. Over the last six years we have been delighted to support Rainbows Hospice for Children and Young People, raising £45,000 to date. I do hope you can join us for either the Preview Evening or Thursday's Fair. Bring a friend and enjoy the shopping, relax over a coffee or delicious lunch in the marquee and help us to raise money for Rainbows! Want to be kept informed about the Christmas Fair? Your email address will only be used to keep you informed about news relating to the Christmas Fair and we never share your personal data with anyone else. You can unsubscribe from receiving news at any time by clicking on the 'unsubscribe' link in any email you receive or by contacting us at this link.